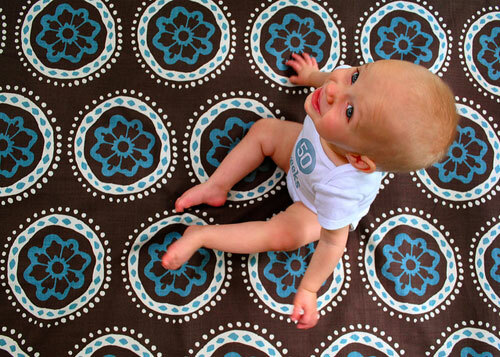 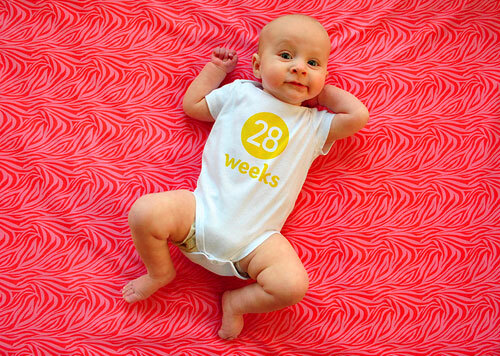 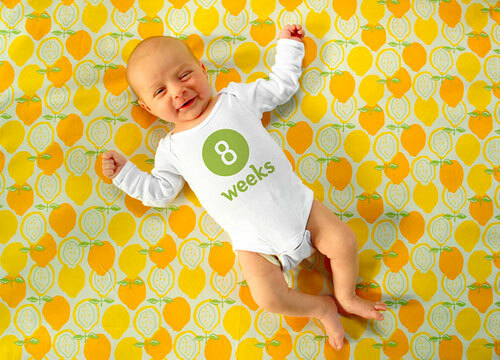 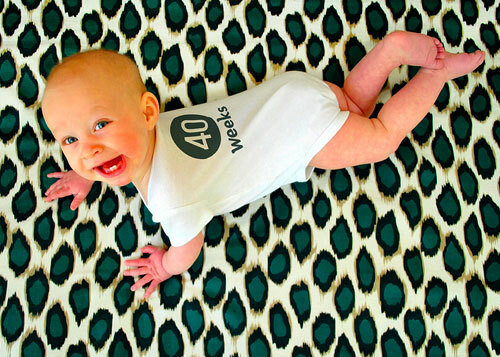 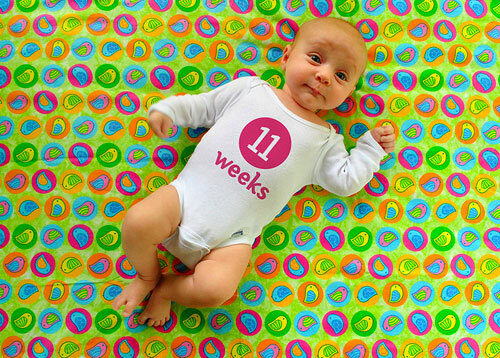 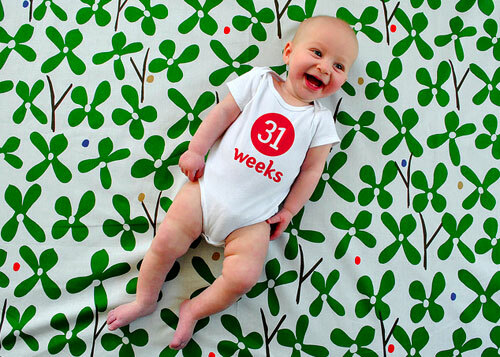 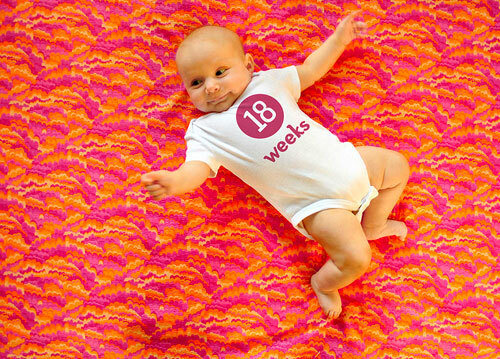 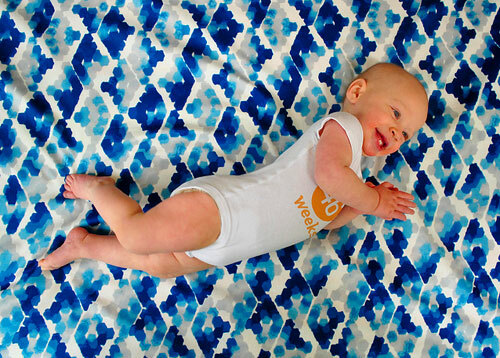 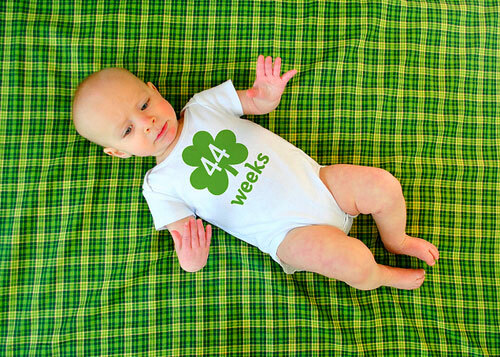 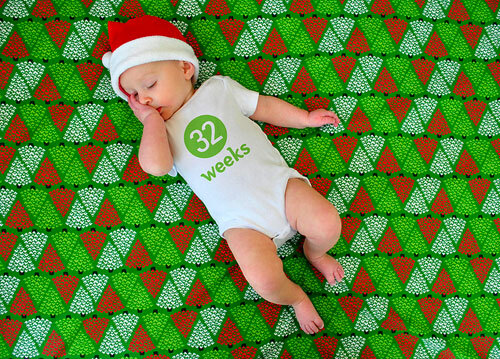 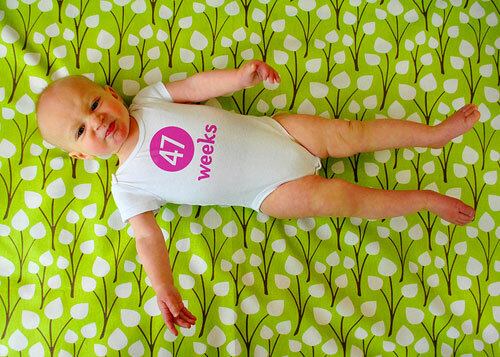 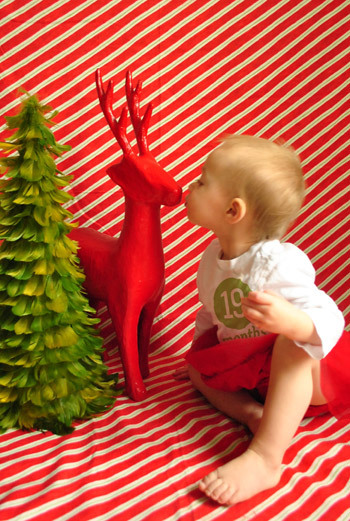 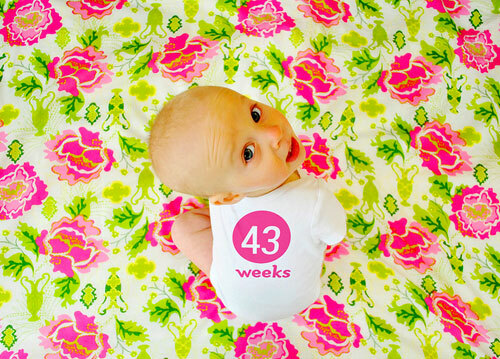 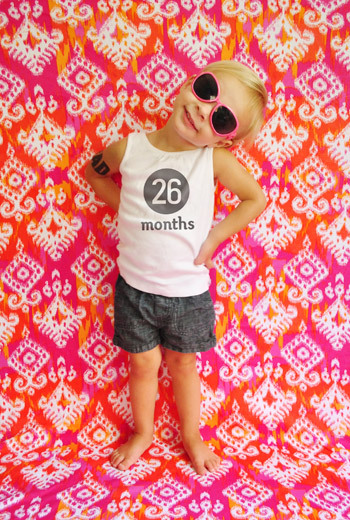 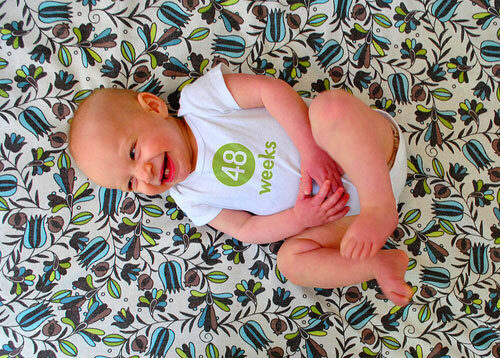 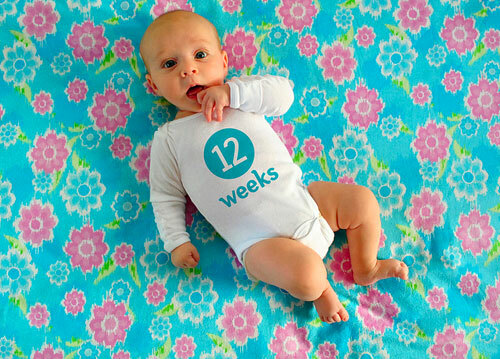 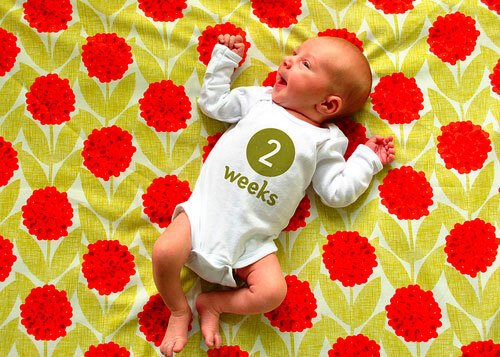 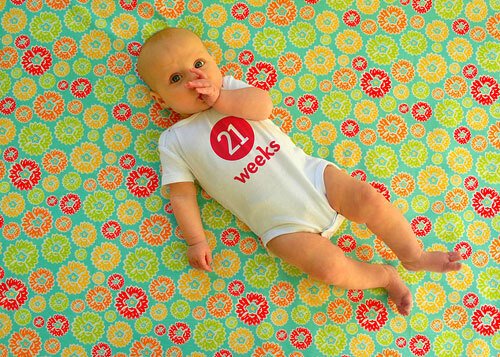 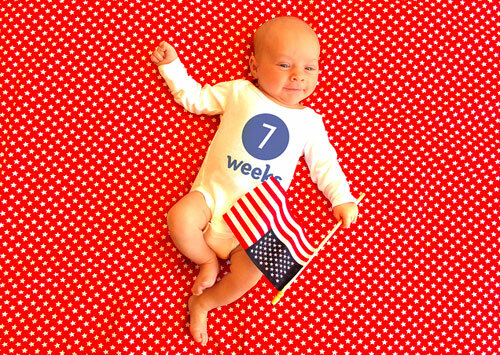 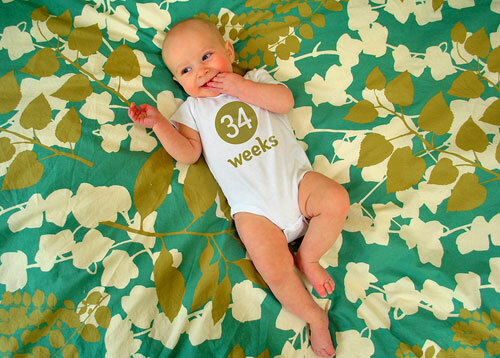 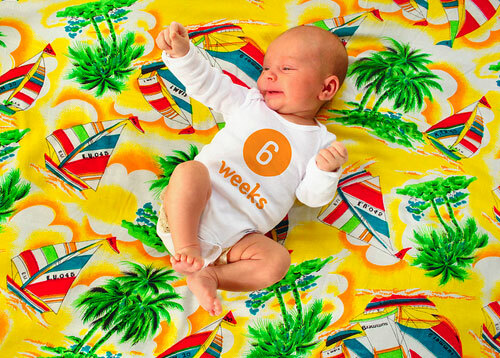 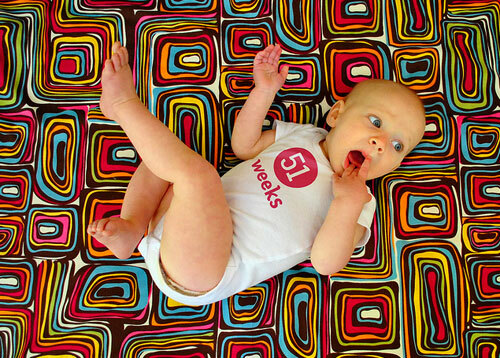 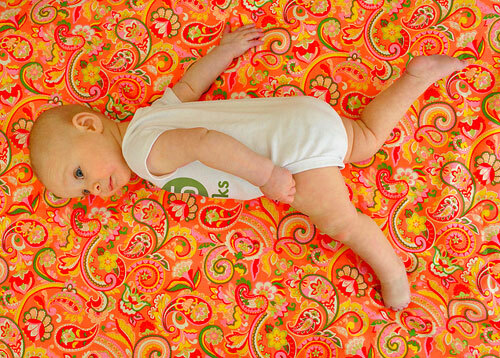 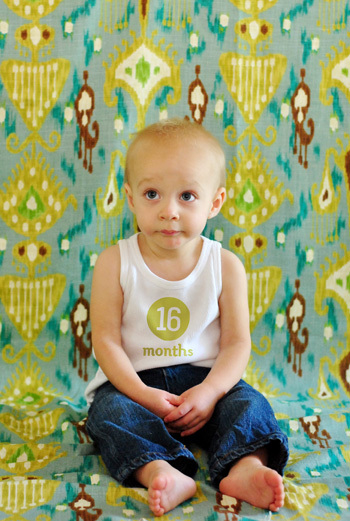 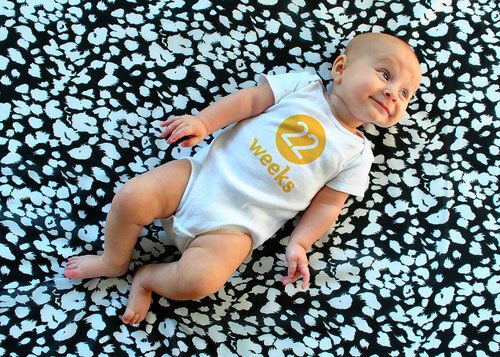 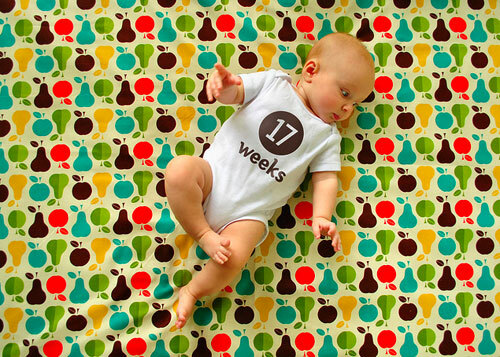 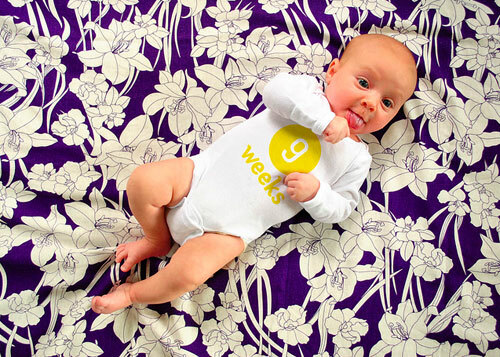 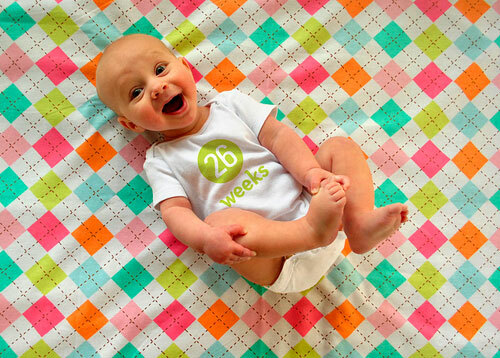 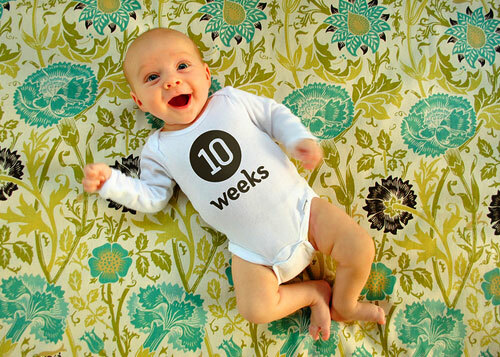 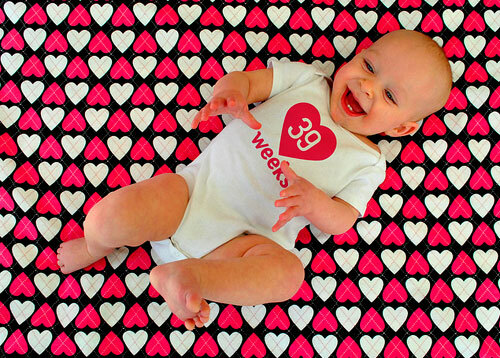 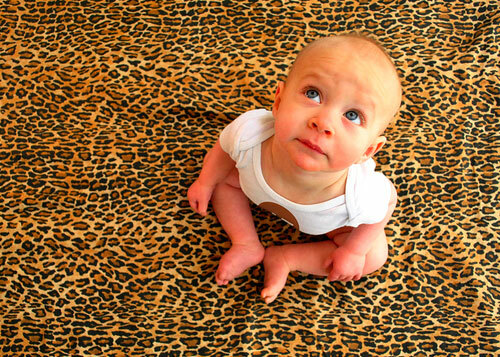 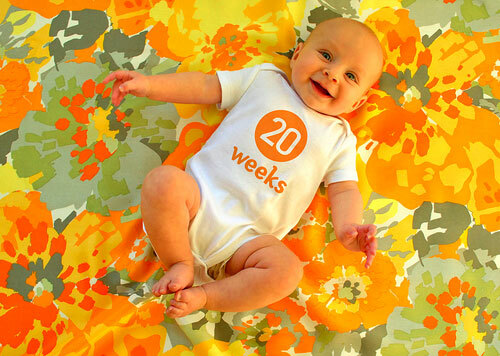 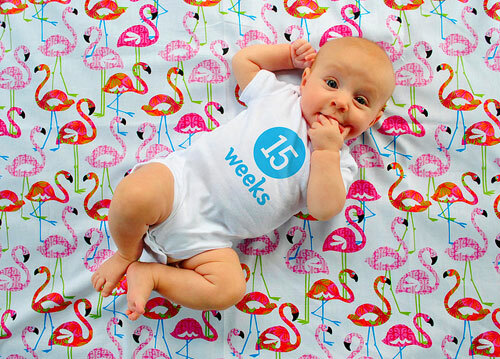 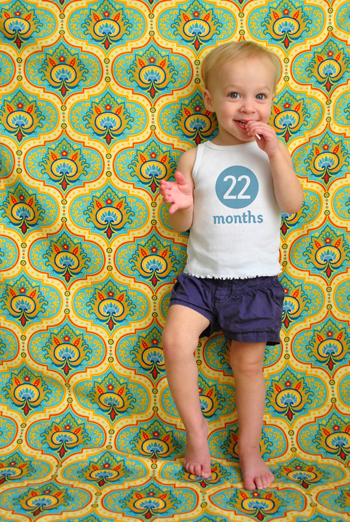 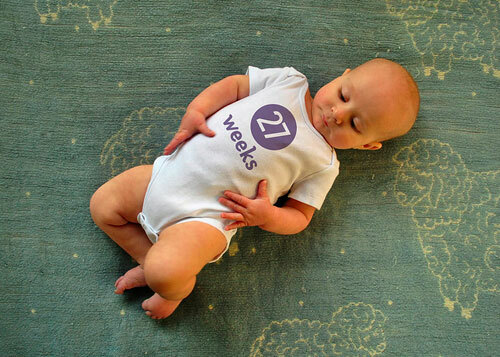 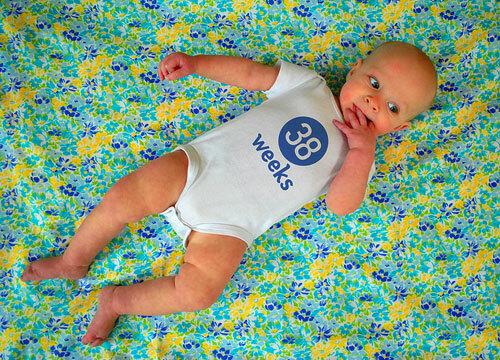 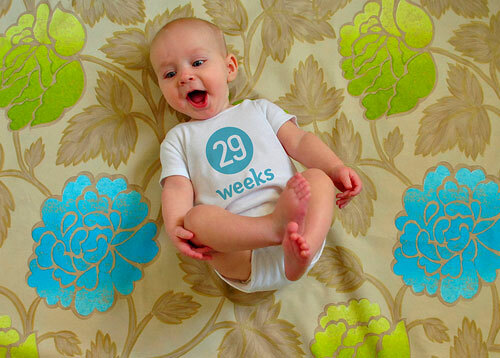 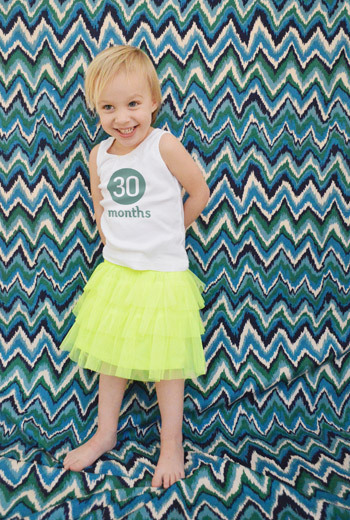 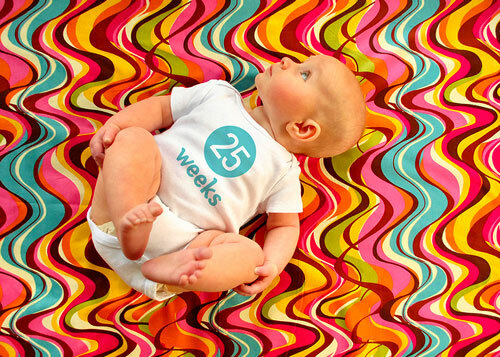 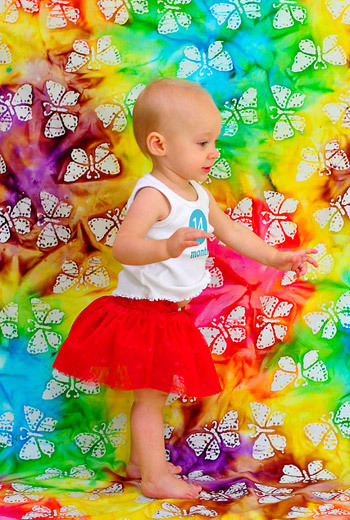 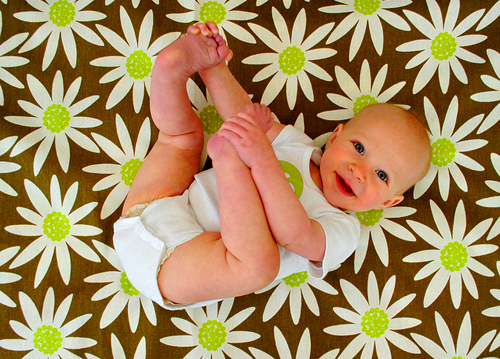 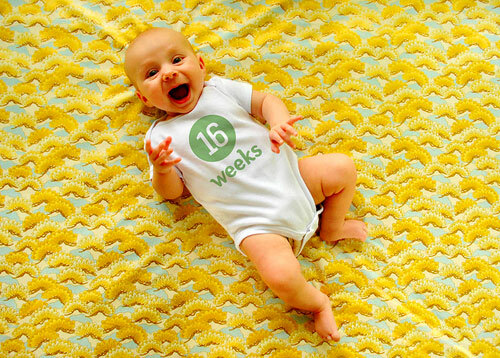 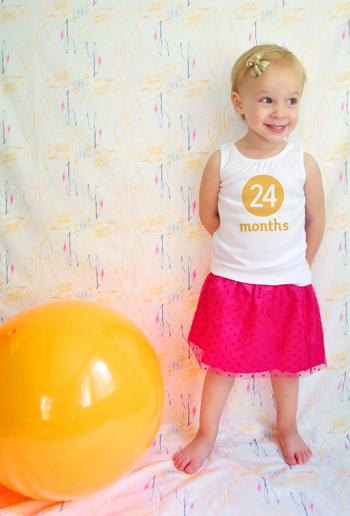 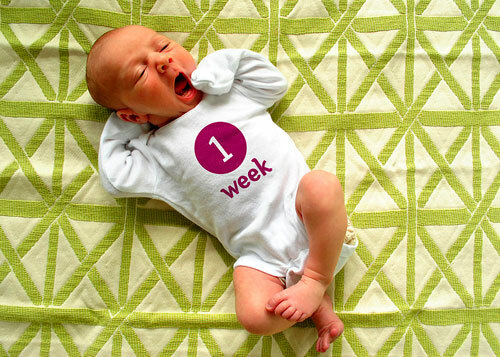 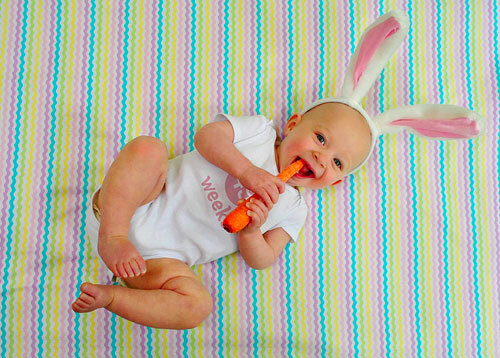 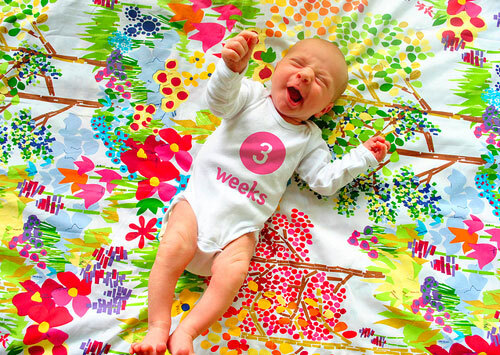 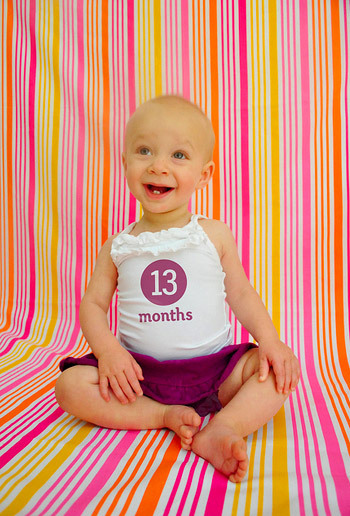 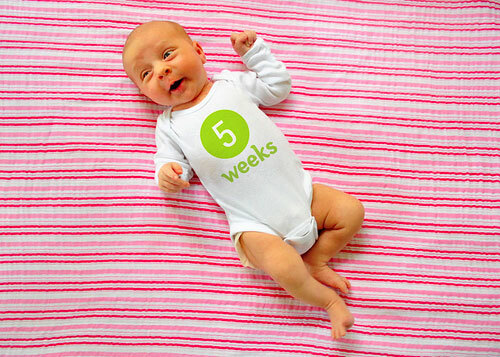 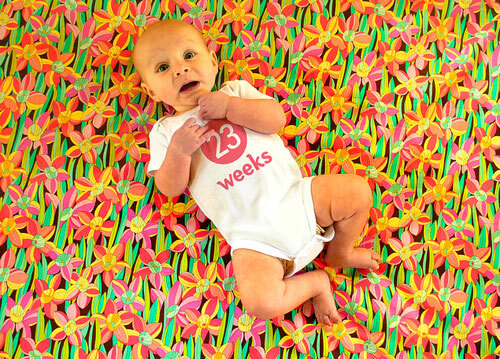 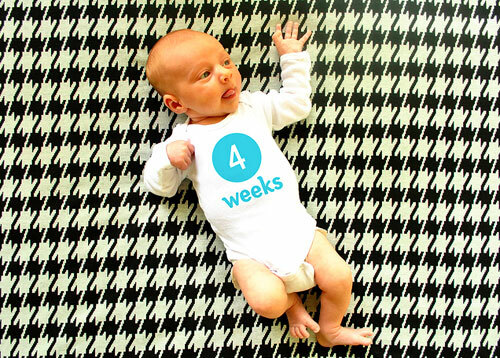 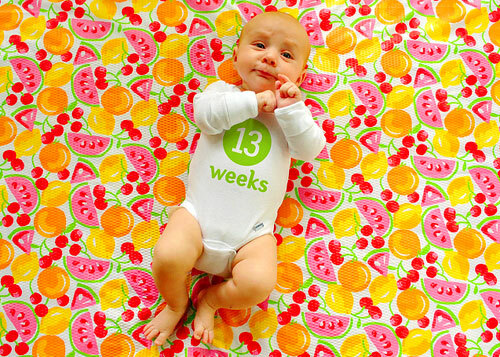 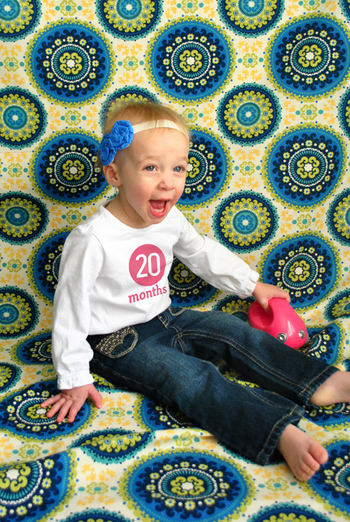 Ever thought about documenting your little one’s growth with a weekly or monthly baby photo? 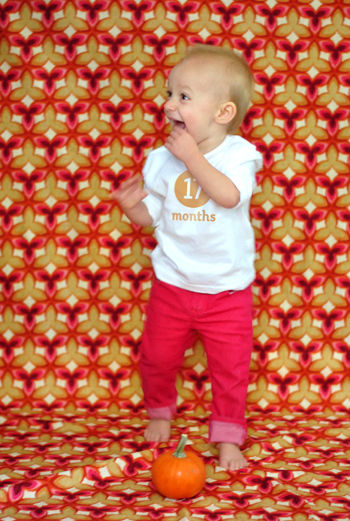 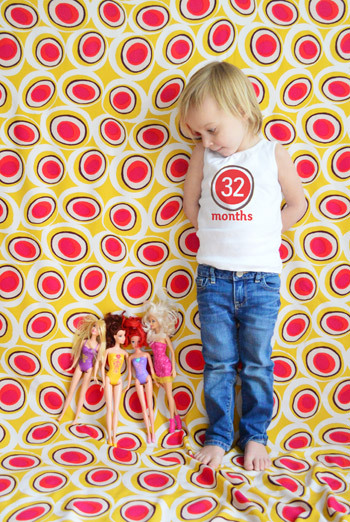 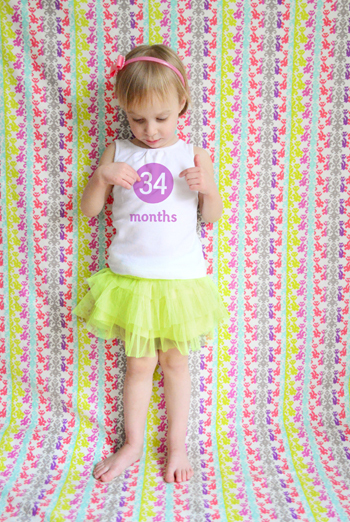 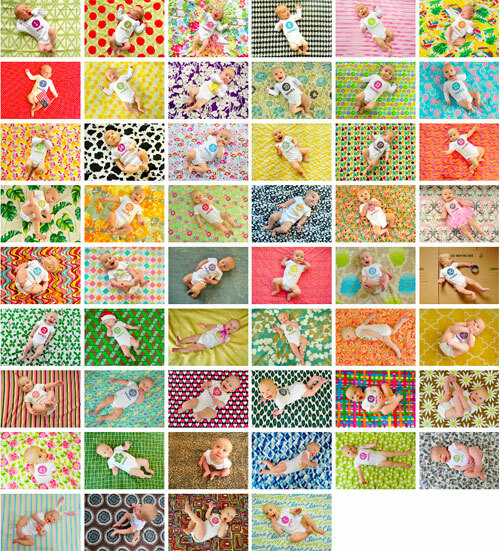 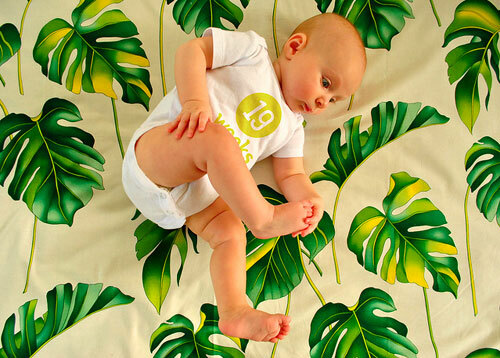 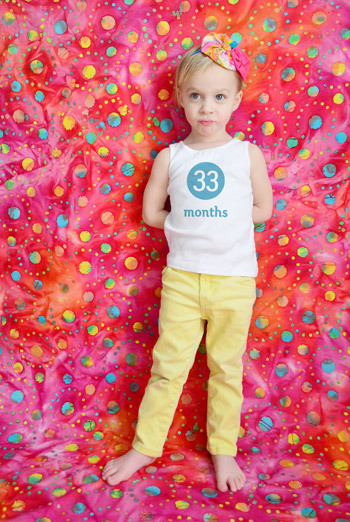 We thought it would be fun to see how much Clara grew in her first year, so an ever-changing patterned (usually fabric) background + a white onesie that we photoshopped with each week = Clara’s weekly photo project. 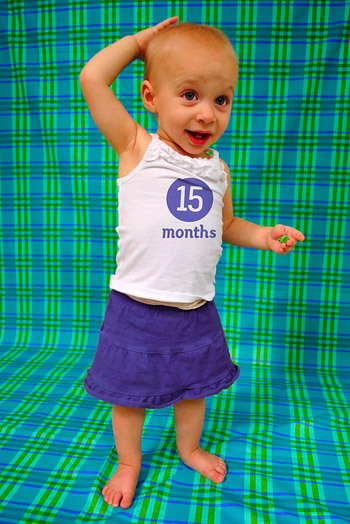 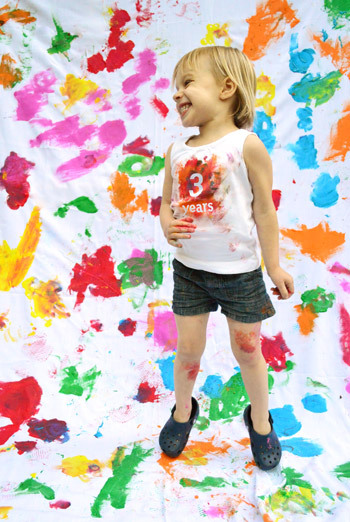 Back in 2010, we weren’t sure if we could keep up with weekly pictures for Clara’s entire first year, but it turned into something that we really looked forward to. 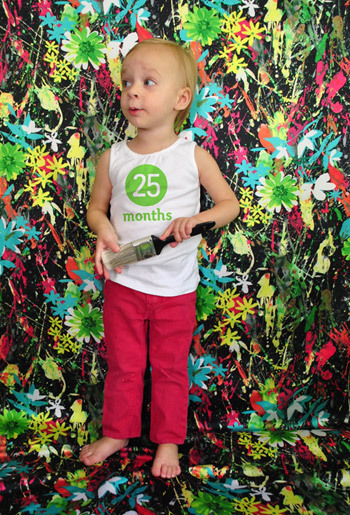 From picking out each yard of fabric (usually on clearance from JoAnn or Hancock) to photoshopping the type onto her plain white onesie (after we uploaded the pics) it was a fun little 52 week event here at Casa Petersik. 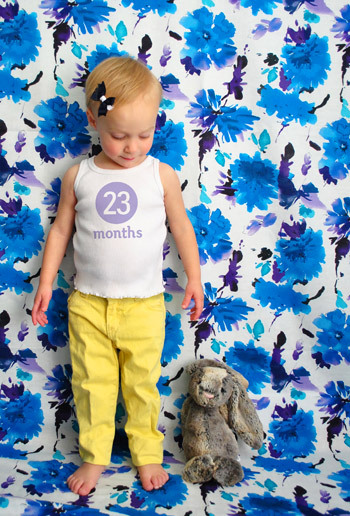 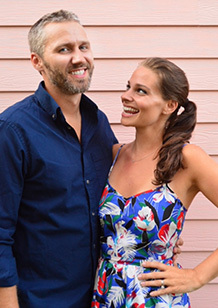 Learn how we created each weekly photo here. 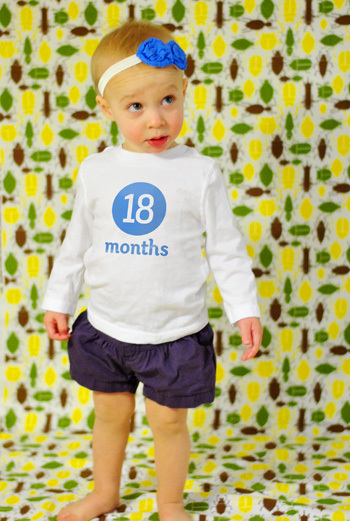 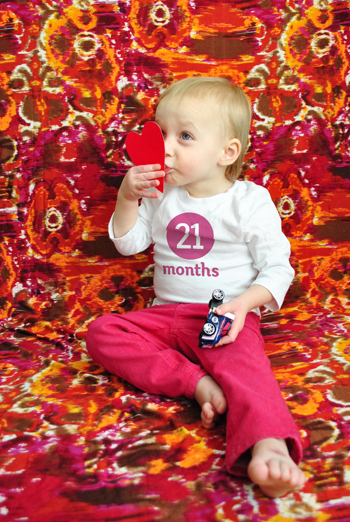 After Clara turned one, we did monthly shots until she turned three and then took them annually from then on. 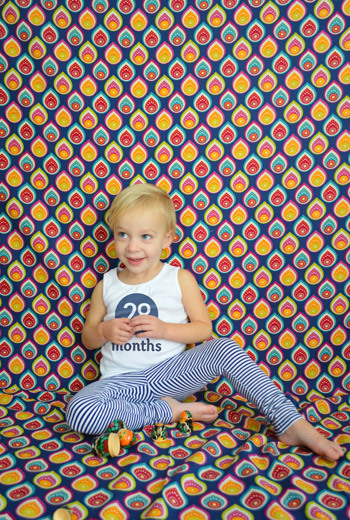 They still have playful fabric backdrops and photoshopped onesies, but the pose and the outfit are a little different (more on that here). 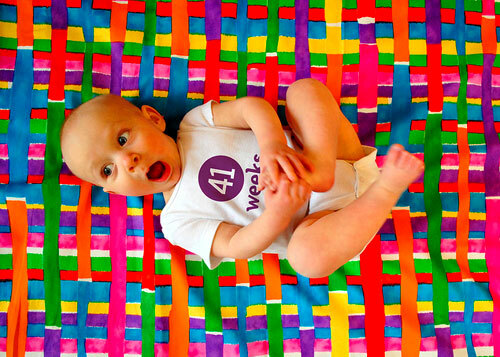 You can check out Teddy’s photo project from 2014 here.